Mirth Control Comedy return to Inamo in Covent Garden for another evening of cheek aching, side splitting comedy, delicious pan-asian food and wonderful people. Join us on Wednesday 20th February 2019 in the downstairs Onyx Bar at Inamo. 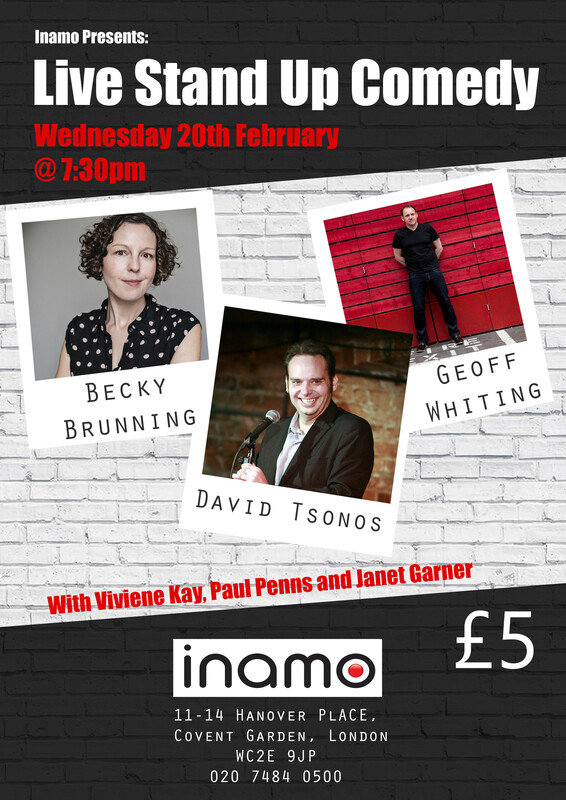 David Tsonos | Becky Brunning | Vivienne Kay | Paul Penns | Janet Garner & Geoff Whiting as your host for the evening! DONT FORGET: Wednesday 20th February 2019 @ 7:30pm! Display your ticket upon arrival and get ready to laugh!